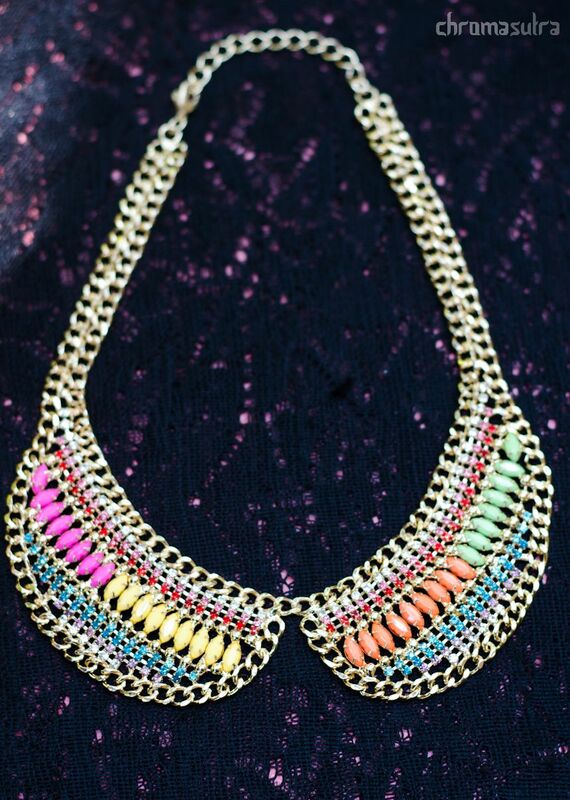 Stilettos Diary: DIY Dannijo Necklace. Hope you are having a great week. New DIY post. Dannijo jewelry line was founded by sisters Danielle and Jodie Snyder during peak of recession. 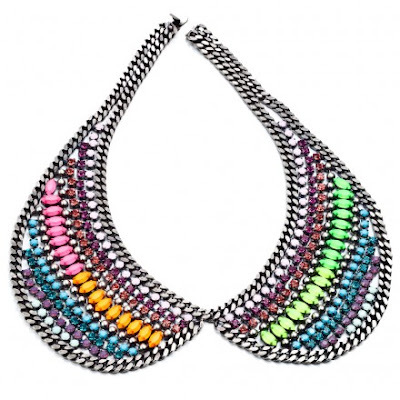 The Dannijo jewelry line is a favorite among celebrities, including Beyoncé, Natalie Portman, Blake Lively, and Michelle Trachtenberg, and is carried at style-leading retailers such as Bergdorf Goodman, Henri Bendel, Intermix, Harvey Nichols, and Holt Renfrew. 2. 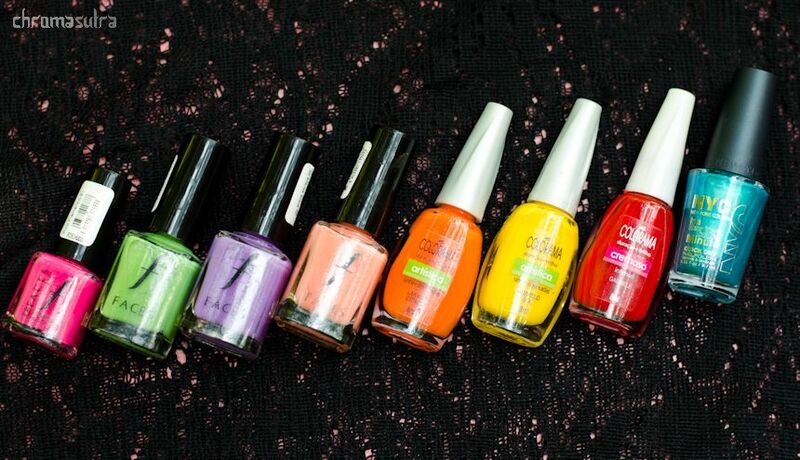 Nail paints. 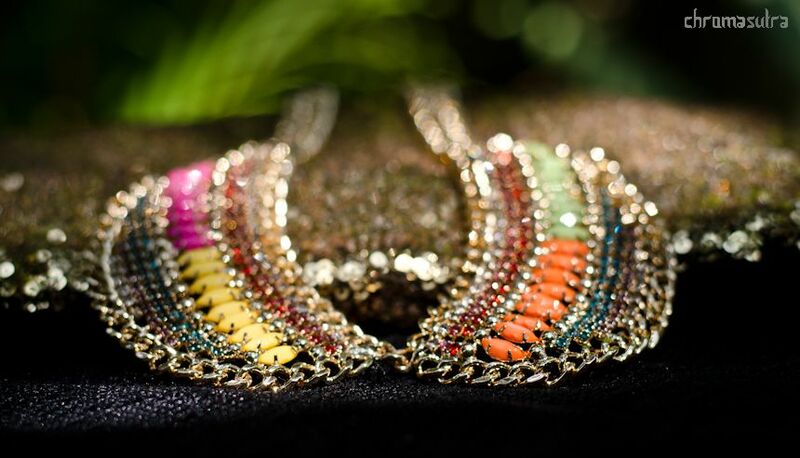 Colors depending on the Dannijo necklace you want to DIY. 3. Metallic gold nail paint. 4. Tooth pick/ thin paint brush. 1. I found the rhinestone necklace in gold color so I dint have to spray paint it gold. If you find a silver rhinestone chain, spray paint the chain and leave it for a day for the paint to dry. 2. 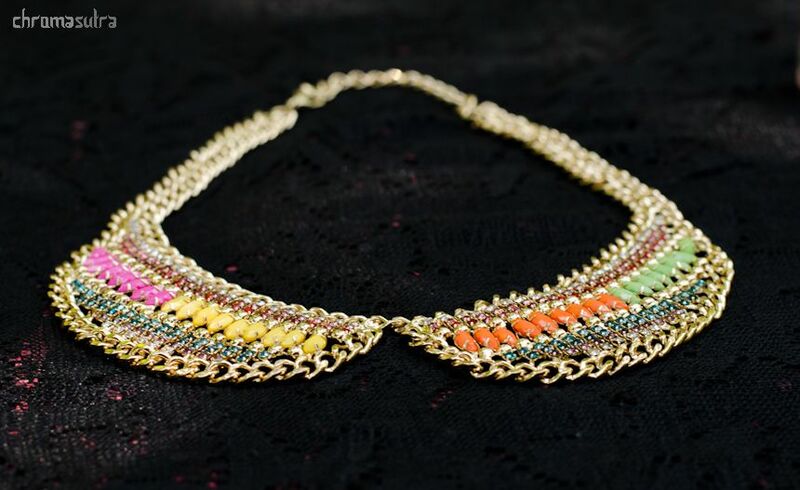 Paint the rhinestones according to the Dannijo necklace you want to DIY. Ensure you use a thin brush to paint or ensure the amount of the nail paint you use. 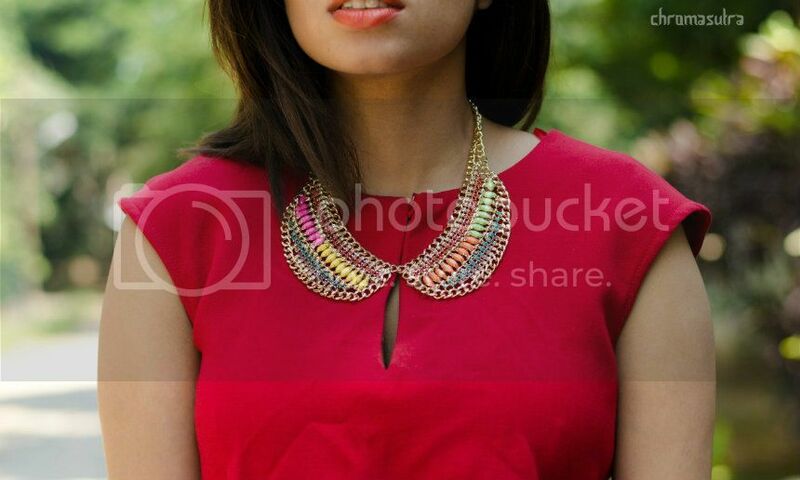 Variation in quantity of nail paint will help you get the ombre effect in the necklace. 3. After the paint dries, take tooth pick and paint the edges on which rhinestones are held with gold. This gives the chain an authentic look. Voila you have your vary own Dannijo necklace. I had actually made Liberty chain, which got stolen just an hour before I shot for this blogpost. The chain was stolen from my house front yard on Diwali! It was a horrible experience. Nevertheless, I plan to make Liberty Dannijo necklace once again and will definitely share it with all of you. I found this chain a few days later. I wanted to share with you the idea and I didn't want a bad incident chance my plans. Hope you liked the DIY. Cost of the project "Rs. 1000 or 20$". I needed to pick up few nail paints. I see the nail paints as an investment. Original Dannijo necklace cost about 700$ to 900$. Savings?? About 680 to 880$ :D... Also the photo is sneak peek of next week's post. I shall wait for all your comments. love your idea..so pretty colors!! Wow.. the piece looks awesome. Great job! I hope all is well. I look forward to seeing/hearing more from you! Love this DIY! Looks gorgeous! Such vibrant colors, wow! It looks amazing! That's a very nice and funky idea actually the beeds change according to our dress color with the nail colors that's a real good idea. Great idea! Never really thought about painting with polish! 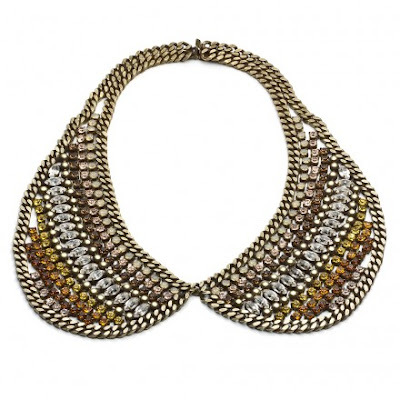 Also, if you're interested in joining a giveaway from T+J Designs, you can check details in my blog here: http://fashchronicles.blogspot.com/2013/01/tj-designs-pretty-baubles-necklace.html. Entries are open until Jan 11 only!